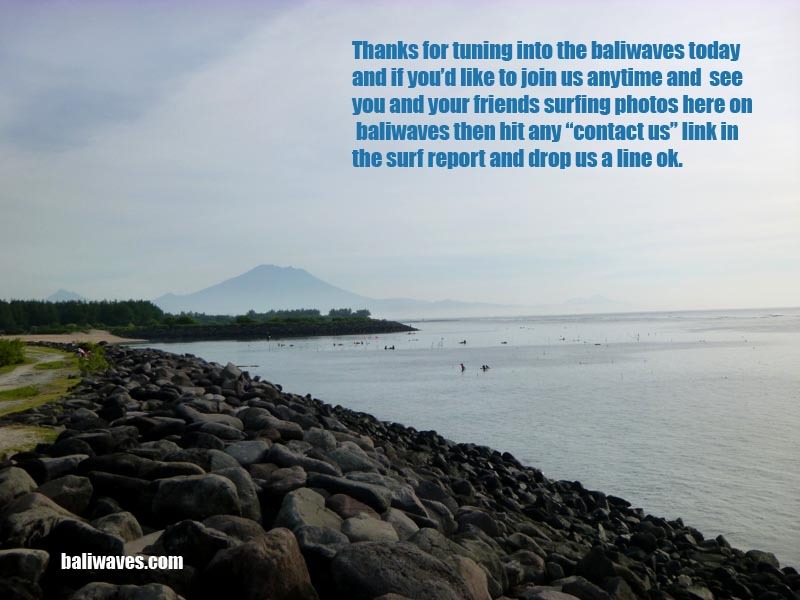 Hi folks and thanks again for dropping into the baliwaves, (keeping Bali surf reports real since back in 1999) for our latest news and best possible views on surfing and weather conditions here on the island of the Gods, and the No.1 tropical surfing holiday destination and gateway to Indonesia’s surfing paradise, Bali. Ok so yesterday the 11th and Ketut and I were indisposed. We spent most of the day in Denpasar traffic and waiting in line in banks. Being a very special day for my family and I, it was the day that we finally made the final payment on our car. Five years, of battling with it and now it’s done, so stoked. 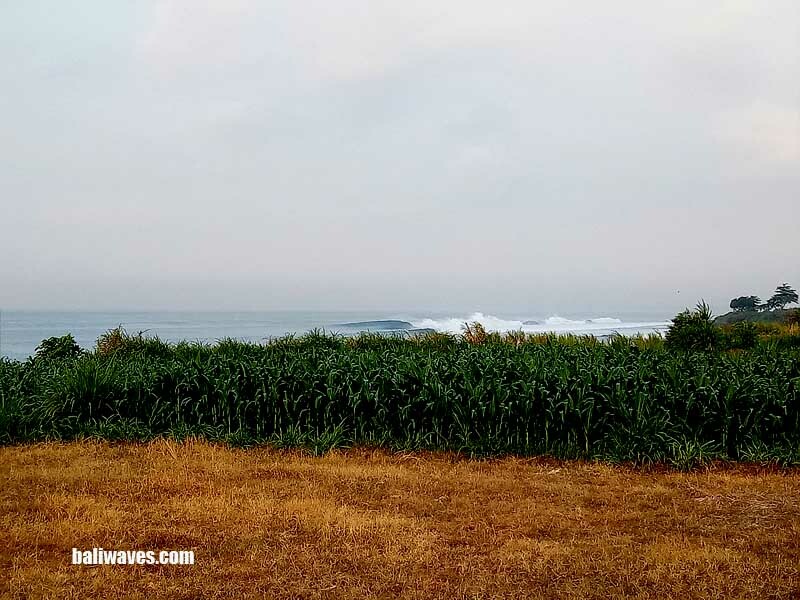 Our current photo gallery comes from over on the East side and we were lucky enough to score it with the last decent day of swell and the right wind. 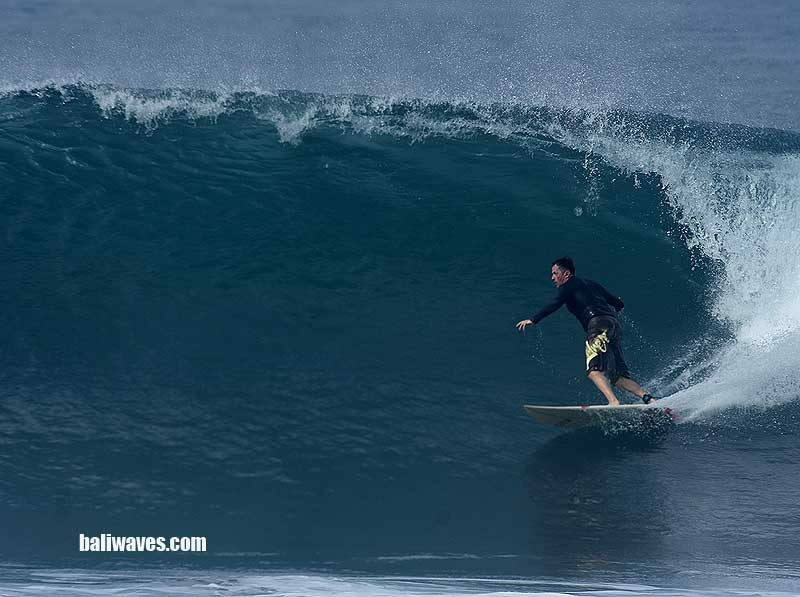 We didn’t mind sharing it with the 16 other surfers. 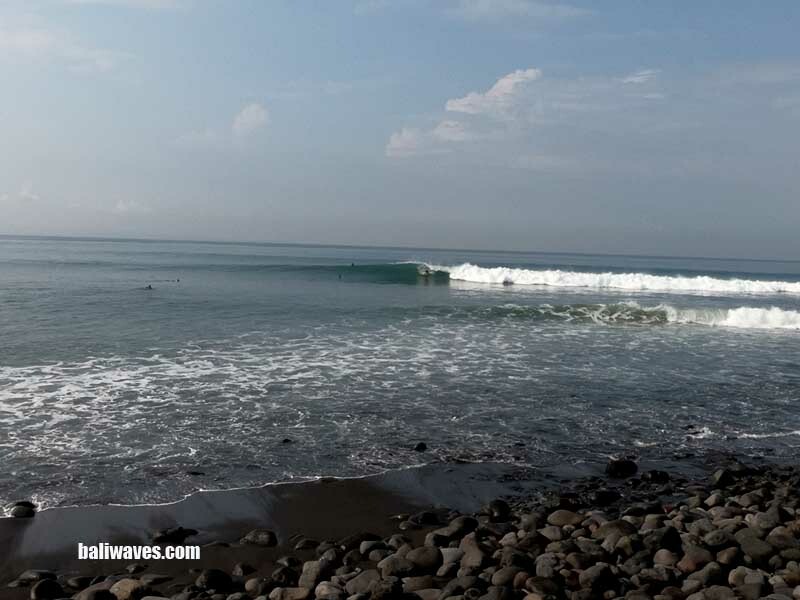 Today the 12th and our 7.00AM surf check on the Outer Reefs of Tuban was showing wave height to be backing off and only just breaking in the 1-2ft+ range between Kuta Reef and Airport Left. 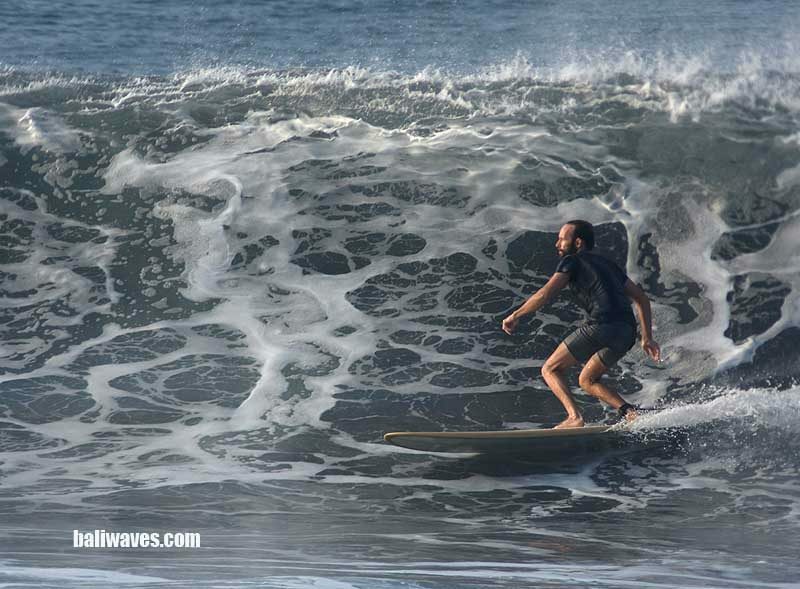 Surfing conditions at the time were still clean and glassy with the wind only just coming out of the NNE. The wind has since then dedicated to the SSE-SE and picked up to around 10knot. 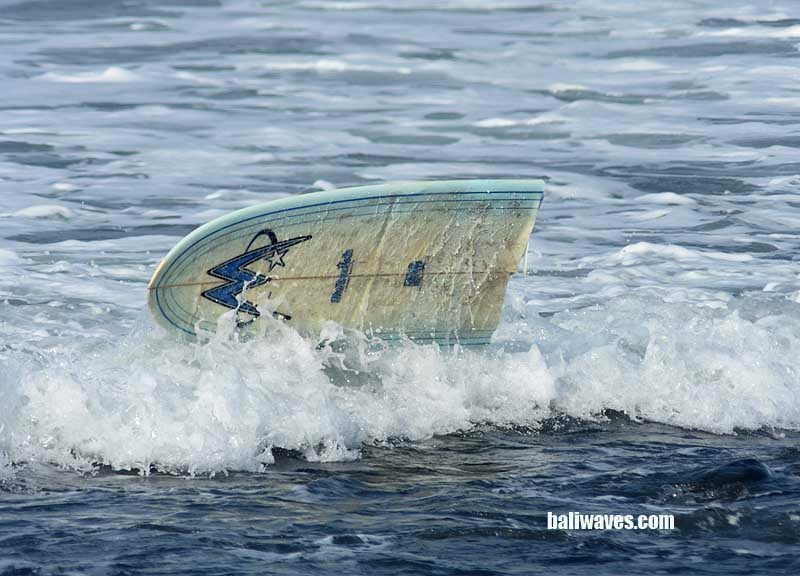 I saw it coming and had our Team take a run down to the Southern end of the island and Indonesia’s Premier surfing location of Uluwatu. 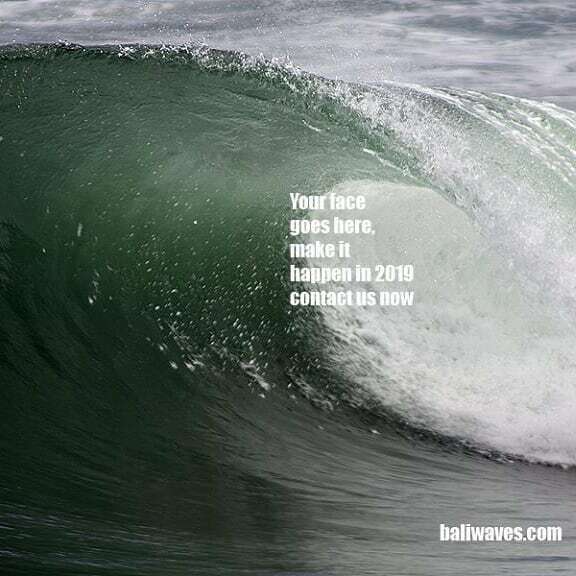 I did put out the post on Twitter (@baliwaves – Bali Morning Surf and Weather Report) so if your not onto that yet you had better get into it asap. 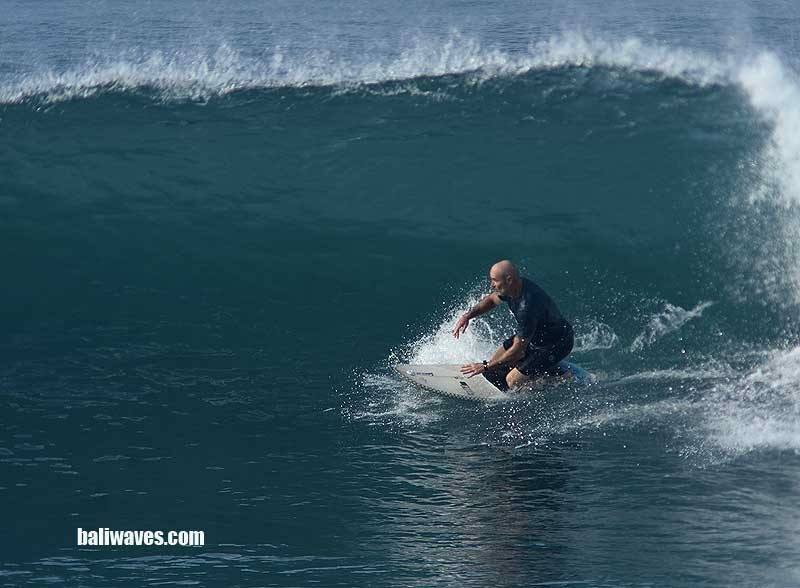 Good clean conditions down at Ulu this morning with chest to over head set waves. Stay tuned and we’ll get some photos from this morning on line ok. Weather wise today it’s just pure Bali holiday stuff out there. Blue sky and heading for a midday temp along the coast of 30 degree’s Celsius. 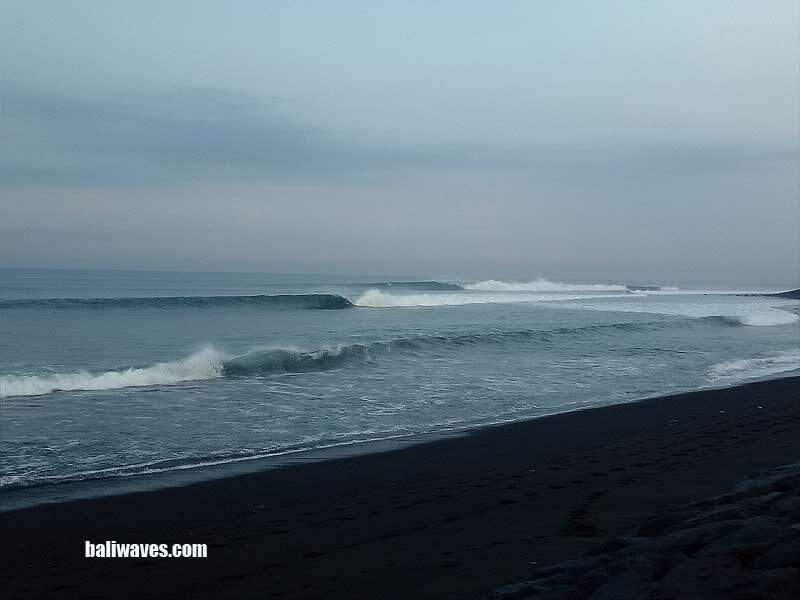 Tomorrows Surf Forecast it saying that we should expect wave height to back off a little more but still with an 11 second period. 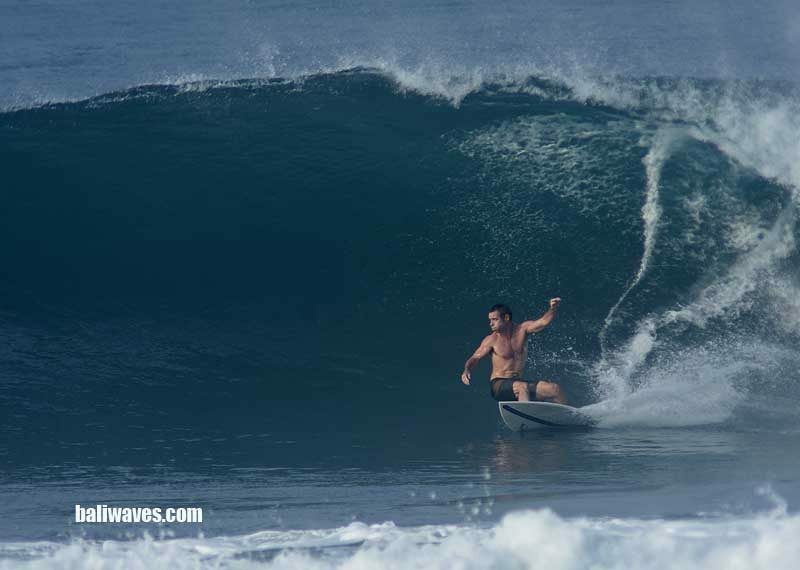 So we should still be able to find a wave at the better locations. The wind is predicted to be mostly light and variable just about all day.